For most bloggers today, the WordPress platform is king of the hill when it comes to starting a new blog. 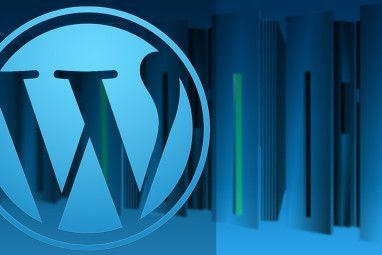 Even if many new bloggers might need some help with installing their first WordPress blog, configuring the appearance of a WordPress blog and posting updates is really easy. Many people just stick with WordPress and never look back. 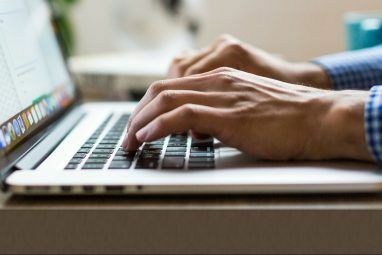 The problem with the majority of bloggers gravitating toward one platform is that many of the other high quality CMS platforms tend to get overlooked. Beyond WordPress, there’s Joomla, Drupal, and a whole variety of very simple CMS platforms out there, like gpEasy. There is also one more platform that rarely gets much attention, but deserves a mention because of the unique features and ease of use that it brings to the table. That platform is none other than B2Evolution. 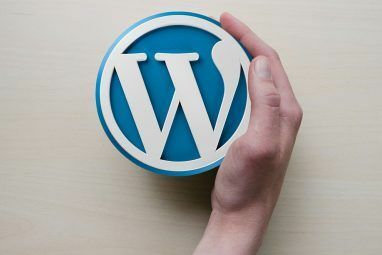 One of the most commonly asked questions on many of the blogging forums that I browse is how to run multiple WordPress blogs with one install. While it can be done (from what I’ve heard with a bit of difficulty), the B2Evolution blogging platform allows for multiple blogs as a default configuration when you first set it up. There’s no jumping through hoops or complicated configuration – the blogs are just there and ready for you to start blogging. I discovered B2Evolution when I first started blogging, before I’d ever even heard of WordPress. B2Evolution was available with my hosting account, although manual setup is just as easy as WordPress, as it is also built upon PHP and an SQL database. In my configuration above, you can see that I had 5 blogs ready to go, although I only focused on developing my default blog. Writing posts in your blogs is just as simple as in any other advanced CMS platform like WordPress or Drupal, but in B2Evolution all of the blogs that are hosted on your install and that you’ve enabled as visible are listed at the top. Switching between blogs and posting on each one is as simple as clicking on the button for the blog. Viewing all of the posts for each blog isn’t much unlike other platforms. You can quickly access different aspects of the posts from this one page – such as comments or the posting schedule. And blog settings are simple enough so that even a newbie blogger could likely figure out how to configure each blog. The only part that can get a little bit complicated is configuring the correct URL for each blog. Only one can be set up as the “default” blog when visitors access the index.php file, but you can use the “Absolute URL” field if you’ve reserved a domain for each blog. However, another advantage of B2Evolution of WordPress is how intuitive and simple most of the blog configuration is. Settings are clearly tabulated at the top, and further up you can switch from the settings for one blog to another with the click of the mouse. The cool thing about B2Evolution is that it comes with a lot of awesome features already part of the default setup that you don’t find as part of the WordPress or Drupal install. One of those is the ability to monitor all sorts of traffic details for each of your blogs. The ability to extend B2Evolution is available as well. The availability of a whole library of skins and plugins is just impressive. On the B2Evolution website alone, you’ll find hundreds of high quality skins – basically blog themes – that can really transform your blog and make it look amazing in a matter of minutes. And setup only requires that you download the files to the theme folder and then enable it in the admin panel. The same is true for the plug-ins, which are updated and constantly growing thanks to a wide user base. Once I’d installed my new dark-background theme, updated the title and published a few beginning posts, I have to say I was very pleased with the look and feel of my very first blog, built upon the B2Evolution platform. It felt very professional, and the themes are just formatted much more cleanly than most of the WordPress blog themes that you’ll find for free. Another nice feature that’s built right into the default B2Evolution install – a comment area for every post. Downloading and installing plug-ins to extend the functionality of your B2Evolution install is as easy as downloading the files to the “plugins” folder and installing it from the general “App settings” page. You’ll find plug-ins for everything from Twitter to Google Webmaster tools. If you are interested in loading up one single install that will let you publish multiple blogs, more default features and easier configuration than WordPress or other blog platforms, and higher quality free templates than most other CMS systems, then B2Evolution is definitely the platform of choice for you. With so many features, a wide user base and so many available extensions – you’ll find that it will do everything that you expect from a high quality blog, and then some. Have you ever tried B2Evolution? What did you think about it? I’d love to hear about your own experiences with the platform! Explore more about: Blogging, Content Management System. Your shopping bag is empty,Cheap Lebron 12,Curry 1 Shoes Dongguan China . Items:0 Sub-Total:,cheap lebron 13?0,cheap jordan 5 Shop Brand Nam,Cheap Kobe 10 Elite High,Cheap Jordan 13 MBT Lami Shoe.00 URBAN CHICPRE ORDER UGG NOWTHE PERFECT FLAT BOOTHomeYour currency has been pre-selected for you. looks like a nice alternative to manage multiple blogs under a single setup. Update: i wonder how it compares to WordPress though. Some feedback from people who have tried both would be awesome. In a world dominated by WordPress sites, it's great to find alternatives that are just as good and user-friendly to boot. I've been experimenting with gpEasy for a while (thanks to MUO for the recommendation). I'll have a look at B2Evolution as well.